Every business organization, small or big, needs valuable data and insights. The right data needs to be presented effectively and properly analyzed. Businesses that effectively leverage Big Data (that was originally discarded or not processed due to technology limitations) get a competitive advantage over their competitors. Insights from Big Data help improve services and products, develop deeper customer relationships in a more agile and predictive manner and uncover new monetization opportunities. The importance of big data does not revolve around how much data a company has but how a company utilises the collected data. Every company uses data in its own way and the more efficiently a company uses its data, the more potential it has to grow. Nowadays, information can be easily acquired but making effective use of it beyond what can be achieved with traditional technologies requires introduction of new concepts, re-thinking the usefulness of data and getting new tooling support. Organizations are faced with the growing amount of unprocessed data that can and should be used more intelligently. Businesses that found ways to take advantage of Big Data are ahead of the competition. Recent technological breakthroughs have exponentially reduced the cost of data storage and computing, making it easier and less expensive to store more data than ever before. With an increased volume of big data now cheaper and more accessible, you can make more accurate and clear-cut business decisions. Success of an organization is predicated on its ability to convert raw data from various sources into useful business information. As a rule, the more data is available, the more information can be harvested from it. In many instances, the [useful information]/[information noise] ratio in harvested data sets is very low. In many respects, extracting business information is similar to extracting gold from ore! Overall, with Big Data, business agility is achieved and new features can be incorporated into applications quickly and easily. 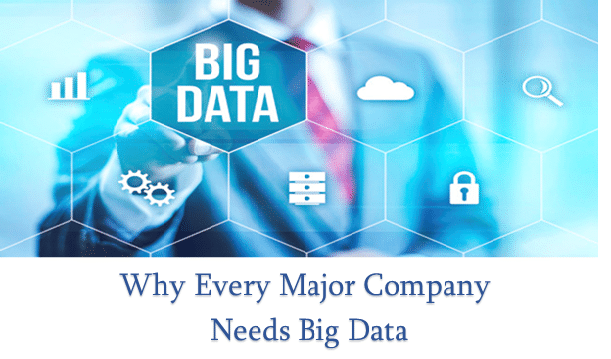 Let us help to guide you further on the major benefits to your company of using Big Data.